Kastriot received his MSc in Chemical Engineering at Tirana University, Albania in 1973. He was awarded a PhD in Inorganic Chemistry at the Royal Institute of Technology (KTH), Stockholm in 1983. He worked later as lecturer and head of the Department of Inorganic Chemistry, Tirana University until 1992, when he was employed as Senior Project Manager at MBT, Barcelona, Spain. He obtained his current employment as research co-ordinator for spent fuel studies at SKB, Stockholm in 1995. 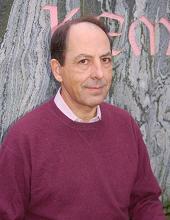 He worked as visiting scientist at the Institute for Transuranium Elements, Karlsruhe, Germany during 2005. There might be more projects where Kastriot Spahiu participates, but you have to be logged in as a Chalmers employee to see them.